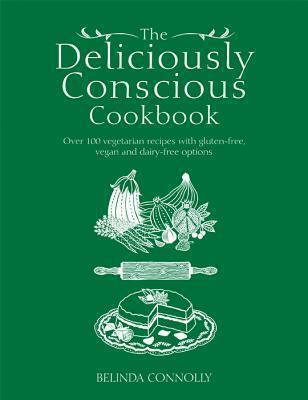 The Deliciously Conscious Cookbook is bursting with tempting treats that anyone can enjoy, no matter what their dietary requirements. It features 100 imaginative vegetarian recipes–many of them gluten free, dairy free, lower sugar or vegan–including Belinda Connolly’s signature savoury Butternut, Berry & Goat’s Cheesecake and her piquant Thai Cauliflower, Coconut & Lime Soup. Packed with easy-to-follow recipes for light lunches, simple suppers and moments of pure indulgence, it also offers a wealth of ways to adapt each dish for a variety of needs. Belinda is famous for using vegetables and pulses in innovative ways to create delectable sweet treats, such as her melt-in-the-mouth Adzuki Bean Fudge Brownies and the zesty Tropical Parsnip & Polenta Cake. Full of originality, this beautiful book offers health-conscious cooks inventive new ways to celebrate their love of food.